Menglong tea factory is located in Mengmao village, Longling county, Baoshan city, beside Heishan. LongLing is the traditional tea production area in Yunnan.This place, famous for the wild arbor tea (Qiao Mu), is the optimal ecological environment for the growth of grandifoliate planted tea trees. 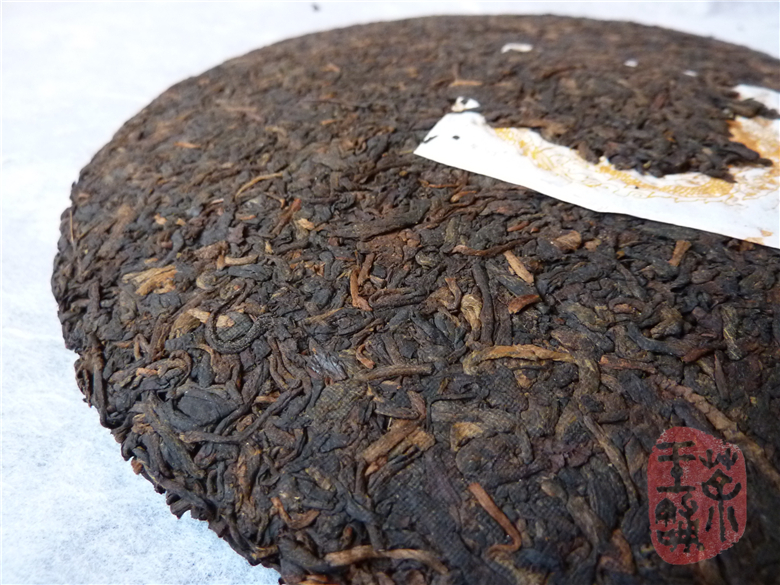 This cake is a typical ripe Yunnan Qi Zi Bing Cha. Different grade leaves (1 and 3 grade) were blended to provide a nice balanced and luscious flavor. The extracts of Pu抏r Tea increase with the years, producing a great deal of dissoluble sugar and pectin and its hydrolysates. More extracts the stronger taste. The brew is thick and the taste in the mouth is very aromatic. 357 grams per cake, 7 cakes per bamboo leaf tong!